Budget travellers that don't mind a healthy amount of walking and travelling by train and bus. Those who want to cover the must-visit and most popular places within a short time. Those who want to spend more time in one place rather than touch-and-go. Ideal for spring or cherry blossoms season. It works for other seasons as well, it's just that I didn't include places that are ideally visited during other seasons like autumn. If you're curious about costs, it's at the very end of this post in the Cost Breakdown section. Everything you need to know — accommodation, daily meals, JR pass, pocket wifi etc. Visit Tsukiji directly from Haneda airport (luggage can be stored in the lockers found in train station) and have breakfast there (Recommended Tsukiji restaurants: Daiwa, Okame, Zanmai). Check in to guest house in Arakawa before visiting Ueno Park and Sensoji. Take a walk around Ginza after having breakfast at Tsukiji. Instead of ending the trip at Sensoji, walk to the nearby Sumida Park and board the Tokyo Water Bus to Odaiba. That's where you can see the giant Gundam statue and visit some pretty cool malls. There are several owl cafes If you're planning to go to the Ghibli Museum, best get your tickets at least a month before. Otherwise, your chances of getting your hands on the tickets are close to none. The cheapest way to get them is from a Lawson store in Japan (so if you have any friends there, you can get them to help) but the most foolproof way is to get them through a reseller like Govoyagin. There are several owl cafes in Tokyo itself. I went to one that was close to Ghibli Museum but you can always choose another that's convenient for you. If you're a sneakerhead, atmos in Shinjuku and Shibuya is a must-visit. Oh and probably to visit Shibuya before Shinjuku just so you can watch the crossing at a busier hour (the golden hour). Wear comfy shoes to Meiji Shrine, you'll be walking on pea gravels for a while before actually reaching it. I didn't do much today because I was dealing with the JR Pass issue, but you can always use one of the suggested trips from Day 2 or the ones below. 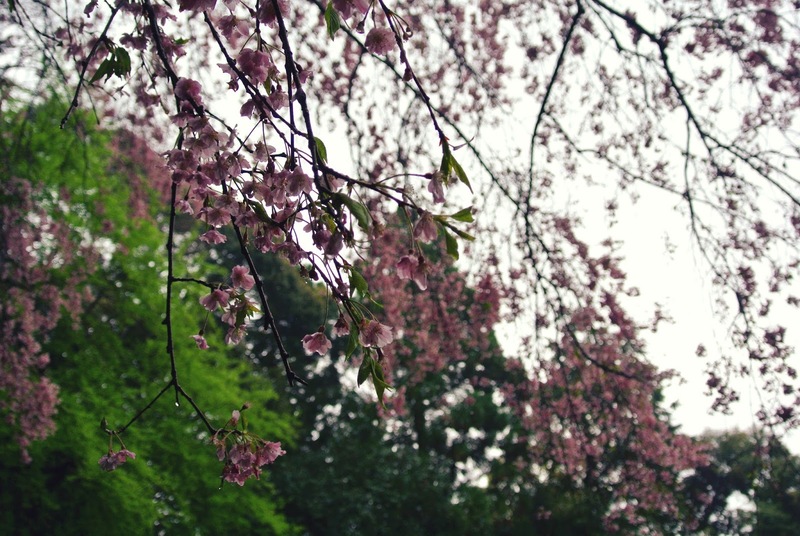 Visit Shinjuku Gyoen in the morning. It's especially beautiful and a must-visit in spring. Bring a mat and some food for hanami, you'll love it! 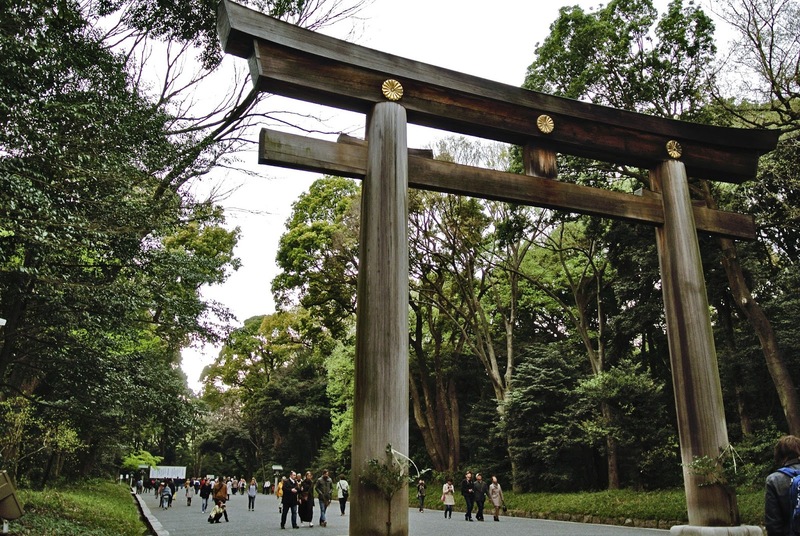 Before or after visiting Meiji Jingu, spend some time exploring Harajuku. Takeshita Dori is a fun street — try the Marion Crepe and take some purikuras. For more high-end and luxurious shopping, try Omotesando. Take the Shinkansen aka bullet train in the morning from Tokyo to Kyoto. If you want a chance of seeing Mount Fuji, sit on the right side. It's better to book your tickets in advance, just make sure to tell the ticket counter to book you the mountain-side. If weather permits, you'll see Mount Fuji 50 minutes into the ride. It's easier to travel around Kyoto by bus instead of train. Consider getting a day pass that allows unlimited bus rides. Entrance fees for temples and shrines are more expensive compared to Tokyo — the average being 500–600 yen (RM20–25) each. I started with Philosopher's Path because it's 2 minutes walk away from where I stayed. Usually, it is best visited with the other temples and shrines in Eastern Kyoto. If you're interested in performing arts, try the Geiko and Maiko (or better referred to as Geisha) performances catered for tourists. If you were to hire one for real, it will cost you a fortune (at least RM2000 for an hour or so, excluding dinner). If you're in Kyoto during spring, attend a Miyako Odori performance. Ryoanji is famous for its dry zen garden but what I personally appreciate more are the other gardens in the grounds. Kinkakuji is the place to be for shutterbugs, not so much those who want immersive experiences. When in Arashiyama, the bamboo groves or bamboo forest is a must-visit. The Monkey Park is not for those who can't take a light hike. Visit Arashiyama early in the morning. Nothing beats a still morning among the bamboo trees and of course you want that signature bamboo grove photo without random tourists in it. If you're willing to walk more and stray away from the commercialised areas, you can discover the hidden gems of Arashiyama — Saga-Toriimoto Preserved Street, Gioji and Otagi Nenbutsuji Temple. Keep Ryoanji for last, about an hour before it closes. It should be less crowded by then and you'll be able to really appreciate the gardens. 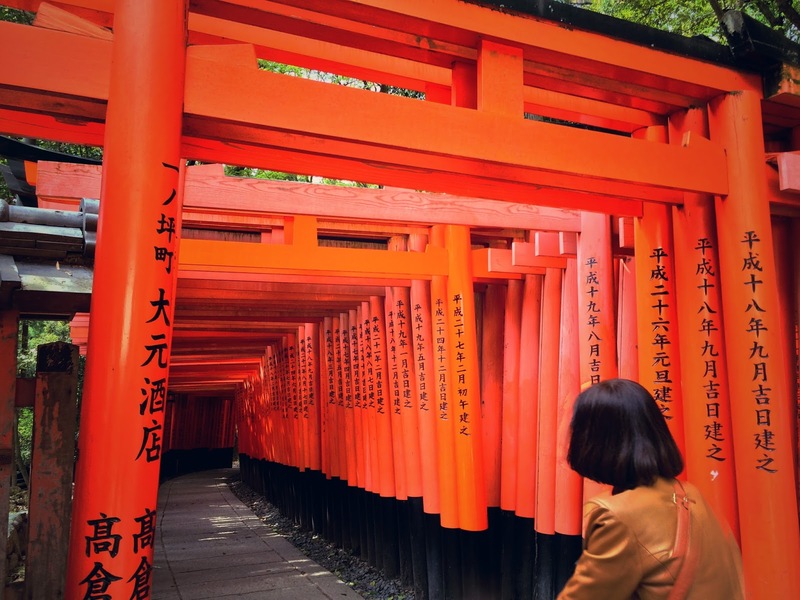 Remarks: The full hike at Fushimi Inari Taisha can take about 2–3 hours but you can choose to just turn back at any point. If you managed to make it to the peak, you'll be rewarded with a view of Kyoto. Generally, the night activities in Kyoto are limited but Fushimi Inari Taisha actually opens all day all night — night visit anyone? What I would have done differently: Visit more of central Kyoto. Besides Nishiki Market, the Nijo Castle is also worthy of visit. It is open for night time sakura viewing in spring and if you're dressed in your yukata or kimono for it, you get in free! In spring, I highly recommend going for the night time sakura viewing at Mint Bureau and eat at the neighbouring night market after. You can probably fit more stuff into the itinerary, see below for suggestions. After arriving at Osaka Station or after shopping at Pokemon Centre, visit the neighbouring Grand Front Osaka. When in Grand Front Osaka, visit the Knowledge Capital for cool stuff and the Coca-Cola lab for exclusive collectibles. Visit Umeda Sky Building in the evening and watch the city come alive from the roof. Just remember that Mint Bureau closes at 9PM and last entry is 8.30PM. If you plan to visit Kaiyukan, get the Osaka Kaiyu pass which includes entry to Kaiyukan and train/bus rides in the city. Best to get it a day before at train/subway stations. Note that it's not sold at Kaiyukan itself. Even though Joypolis is branded as an "amusement park", it is more like an oversized arcade. Unless you're crazy about claw (aka UFO) machines, give this place a pass. Since I recommended to visit Umeda Sky Building on Day 7 (because it makes more sense convenience-wise), see below for the recommended replacement. What I would have done differently: Visit Shinsekai after Kaiyukan. If you're an onsen person and want to experience Spa World there, allocate at least 3–4 hours for it. Remarks: Need I say more? This is another must-visit. Besides the usual Universal rides, it is also home to The Wizarding World of Harry Potter and Japan-exclusive attractions which are updated seasonally (Attack on Titan, Monster Hunter etc.). Read this entry for USJ tips if you haven't! What I would have done differently: I wouldn't have it any other way but if you're not keen on visiting USJ (WHY??!? ), consider taking a side trip to Nara or Kobe. 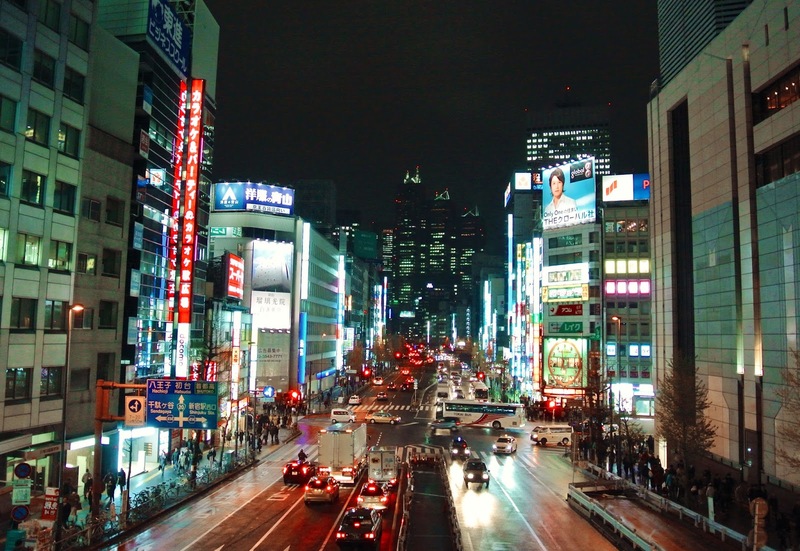 Remarks: Try to arrive at Dotonbori in the evening. See how the street looks under the sunlight and decide on what to have for dinner (it's difficult). Come back to the street after dinner to see it alive. What I would have done differently: Save more stomach space for Dotonbori food. Got my tickets from AirAsia X. You'll usually get a good deal if you book at least 3 months before. If you want to save more money and forgo the flatbed, I understand — I'm the same. But at least try to get yourself a seat in the Quiet Zone — I promise you it's worth it. Not convinced? Just imagine sitting near a tantrum-throwing baby for 8 hours. How much is a meal in Japan? How much will I be spending on food and drinks daily? Average cost of a meal is about 1000 yen and that's what I usually spend for lunch and dinner. But of course, there will be snacks and drinks in between so I'll throw in another 1000 yen for that. 21 Mbps pocket wifi from Global Advanced Comm for 10 days @ 5850 yen (RM237). That's less than 600 yen (RM25) per day. I'm a cheapo and went for the slowest model but you can always go for a faster one, up to 187.5 Mbps. Please rent an external charger or power bank as well if you don't have one already. It's only 150 yen (RM6) a day. Price changes with exchange rate. I purchased mine in person from Japan Travel Bureau (JTB) in KL. Read this entry if you need to know more about JR pass. I used my JR pass from Day 1 to Day 7. To make the most out of your pass, make sure it's activated just right to cover your long distance trips. If you're not travelling long distance, a JR pass might not be worth it. I got the subway pass in addition to the JR pass because subway rides are not covered by JR pass and sometimes the subway can be more convenient. Subway pass is available in the form of 24-hour Ticket, 48-hour Ticket and 72-hour Ticket. You can get them at the tourist information centre (including the one at the airport). I recommend to forgo this if you already have the JR pass. Try to take more rides that are covered by JR pass and just pay the difference if you really have to travel by subway. This is worth it because Kyoto is best travelled by bus and this gives you unlimited rides, rather than paying RM9.30 each time you ride (regardless of distance). You can get it from a tourist information centre or just ask from the bus conductor when you get on. This excludes transportation because I just sorted them out above. They're mostly special meals and entry passes to attractions. Shopping, of course, is not included in the calculation because that's entirely up to you! I personally spent most on Studio Ghibli and Universal Studios stuff. Note: Remember that these numbers may be inaccurate and I might have left some things out. This was 2 years ago after all! It's only meant to serve as a rough guide.